You may have been thinking about starting a blog for years, but have constantly been hitting a brick wall when it comes to building out your own blog. You may have been put off by your lack of coding knowledge or just not having a clue on the blogging platform to use. It can be difficult sometimes to determine exactly what blogging platform fits your level of expertise, especially as there are just so many to choose from. So how do you find the right blogging platform for you and your requirements? Well let me just say that it’s very easy! I have put together what I know to be the best blogging platforms available to you today. I will guide you through on the pros and cons of each platform, what level of expertise you need in order to build your blog, as well as which ones are free and which are paid services. What to look for when choosing your blogging platform? If you’re a complete newbie to blogging or have had limited blogging experience, then you’ll probably require a platform that is not only easy and self explanatory to use, but one that requires no technical web development knowledge, ie. coding, html, css etc. You will need a platform that will enable you to get a simple site up and running without too much hassle. But remember this….it’s important to think about where you want this blog to be in 2 or 3 years time. Thinking about the future now will save you a lot of time, effort and money later on. As your blog develops over time, you may feel that it needs additional functionality or a new design. By having the right blogging platform now, will mean changes like these are less of a hassle. It’s important to choose a flexible blogging platform which will allow for changes in functionality and design, as the ability to monetize your site in the future should you wish to do so. The following popular blogging platforms that I have covered below, all have their plus and minuses, pros and cons. Some are aimed at the beginner bloggers, some will be for seasoned pros and others will be for bloggers who want the best of both worlds in terms of easy to use and build, but with the ability to potentially add more features. Ultimately you need a platform that meets your needs now, or to discover a platform that will give you the ability to evolve later down the line. In this post, we are going to cover the following blogging platforms. Feel free to use these quick links to get to the blogging platform that interests you the most. 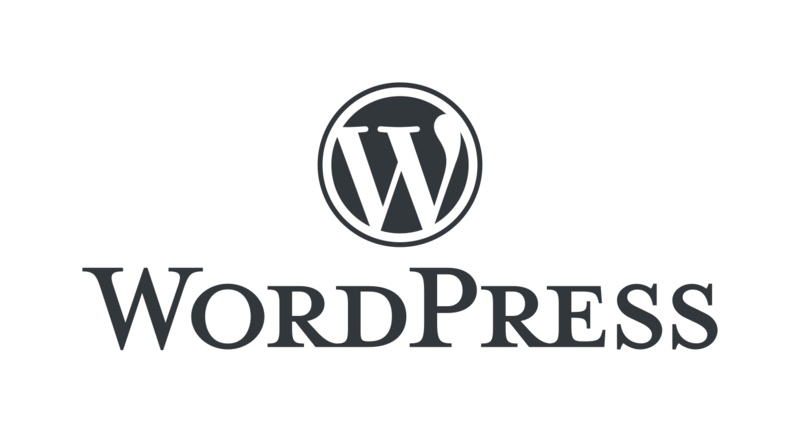 WordPress.org is by far the World’s most popular blogging platform. It is used by some of the biggest blogs and websites on the web, and is an open source platform. This means that it’s free to use and has a vast and active community that are constantly building new plugins, widgets and functionality to make it even better. Don’t get confused with its .com counterpart. To gain access to WordPress.org, you will need a web hosting provider to be able to self host your website. We recommend Bluehost for WordPress hosting. Have a look at their latest offers. WordPress.org has the same features as WordPress.com and then some. They provide additional functionality, ability to customize your themes a lot more than .com and you can also monetize your sites with Google Adsense and other affiliate marketing schemes that you can sign up to. WordPress is a great option for bloggers who want complete control of their blogs in terms of customization and monetization. Vast amounts of FREE plugins to use to add additional functionality to your blog. WordPress.org makes it easy to add in features such a forums, ecommerce and email subscription sign up forms. There are literally thousands and thousands of free and premium themes that you have access to. This will enable you to have a very professional and slick looking blog without the need of a web designer. WordPress.org is known for its search engine friendly platform, which means that you have a much better chance of ranking high in Google. Not entirely free, as you will need to self host your blog. It’s not really that expensive, and the benefits of self hosting far outweighs the small cost. You can get good cheap hosting from ipage for $1.99 per month or for a bit more money you can get very good WordPress hosting from Bluehost for $2.95 per month. You need to make sure that your WordPress install is updated when WordPress release a new version. It’s not that hard really as all it takes is one click of a button and it's done for you. You are responsible for all backups of your site as well as keeping the plugins that you’ve installed updated. Again this is really easy to do. Bloggers who have outgrown WordPress.com or other free blogging platforms. Bloggers who want to monetise their blogs and make money online. Business owners who would like to integrate a blog into their current business website. Mommy / hobby bloggers who may have had blogs on platforms like WordPress.com or Blogger and want to have more control over their site and content. WordPress.org software is free to download and use, but you will need to buy web hosting to self host your WordPress site. You can self host your website with Bluehost who offer hosting for as little as $2.95 per month for a 36 month plan. You also get a free domain name worth $15, which is awesome as you can get up and running straightaway with your new blog with no hassles. Note: If you buy hosting through our links, then I will personally set up your WordPress install for FREE. You can always refer to our How To Start A Blog guide if you want a step by step walkthrough of the WordPress.org installation and setup. Just like WordPress.org, WordPress.com is another big player in the blogging sphere. It’s an incredibly simple blogging platform to use and is loved by millions of bloggers around the world who want a simple blog creation tool without the cost and hassle of self hosting their own blogs. WordPress.com is free and offers users free basic hosting, a custom domain name, built in comments functionality, polls and social media sharing. There are a few paid / premium upgrades available to you, but on the whole it’s free. Another great thing about WordPress.com, along with its sister site WordPress.org, is the community that surrounds the platforms. The support on offer is exceptional and detailed and there are extremely helpful tutorials on everything there is to know about WordPress. In addition to the tutorials are the vast amounts of users that are only too happy to help you in your time of need and confusion by answering your questions, be it technical or about aspects of blogging. There’s just so much information readily available to help you create and customize your WordPress site with ease. The platform is very limited in terms of customization of the design of your themes. You can’t run any sort of third party ad networks on your site, like Google Adsense. You will never own your site. WordPress can shut down the site if it feels that you are violating their terms and conditions. People who want a simple blog with start up costs. Beginner bloggers who want to test the water with their blogging skills. As I mentioned earlier in this post, WordPress.com is free (basic version). As with most free software, there is a paid version that you can get access to. With WordPress.com you can upgrade your account by paying $2.99 per month (billed yearly). This may sound cheap, but actually it’s not. You can get a much faster, superior, high quality hosting and FREE custom domain name for $2.95 per month from Bluehost. There is a further premium packaged that WordPress.com offer which is $8.25/month (billed yearly). This gives you additional design tools and extra storage, but to be frank, is not worth it at all considering you can get the same deal by self hosting a WordPress.org site. When it comes to choosing WordPress.com or WordPress.org, the trend is to sign up to the free WordPress.com. People will get seduced with the idea of free hosting and think that they are getting the powerful and robust WordPress.org software. After a short time using WordPress.com do they come to the realisation that it’s not meeting their requirements. Limitations of the platform raise their ugly heads within a year or when people become more savvy with their WordPress skills. People will then switch over to WordPress.org to get their hands on more features, more plugins and more freedom to monetize and design their sites better. Blogger has been around since the beginning of blogging. It’s the platform that has raised some of the World’s most influential bloggers. It’s a free blogging platform that is incredibly simple to use and is ideal for newbie bloggers just starting out with a blog. The user can literally be up and running in less than 5 minutes. The platform allows you to do fairly basic tasks like typing in your content, add images, photos, embed videos as well as allowing you to edit HTML, which is unheard of from a free blogging platform. You can also add in widgets to your blog. Security is brilliant, as you’d expect from a tech giant like Google. Your site is in safe hands and away from the threat of hackers. Your Blogger website will never been owned by you. It’s Google’s property and they can shut the site down if they feel it’s infringing their T&Cs. Very limited tools that only allow you to perform only specific tasks on your website. Limited set of templates to use, as well as only being able to make limited design changes to themes such as color. Uncertain future. Google has a habit of killing off free products. They won’t think twice about killing off Blogger, so do keep this in mind when choosing this blogging platform. Very difficult to move your site away from Blogger should you wish to migrate your site to another platform. You may lose all your traffic and subscribers. Limited support and limited documentation. Blogger is completely free to use. Blogger is a good entry level blogging platform for newbie bloggers to find their feet in the blogosphere. But generally people will move over to WordPress.org and buy their own hosting, mainly for the additional features, more control over the look of their website and also to be able to monetize their sites. A publishing platform for your blog posts, with ready made audience. Medium is one of the newest blogging platforms on the scene. They launched back in 2012 and is a growing community of writers, experts, bloggers and journalists that publish content on a regular basis. Like Blogger, it's a very easy platform to use and has a ready made audience for you to share your thoughts and stories with. User friendly. You don’t need to install or setup anything. No coding or design skill required to have a great looking blog. A terrific starting point for beginners to the blogging world. Allows you to embed third party content from other sites such as YouTube, Vimeo, Twitter, Vine, Instagram and SoundCloud. Excellent platform for writers who have very little knowledge of blogging. A ready made audience and online community of people that you can interact with and target your content to. Takes the hassle out of designing your own blog, so that you can concentrate on writing and creating awesome content for your followers. You can’t make any money from ad revenue. Very difficult to monetize. Creating your own look, design and feel of your blog is very limited. Don’t expect to stand out from the crowd with your own Medium page. You don’t own any part of your Medium blog. They own everything from the audience to the content that you publish. Businesses looking to further their own content’s reach. Professional bloggers and writers that want to build their brand and get their work in front of a ready made audience. Bloggers that blog for a hobby or to share their personal thoughts. Medium is completely free. There are no upgrade options or additional extras that you can purchase. Medium is a well designed and looks great. Its an attractive blogging platform for writers, businesses and bloggers as it’s easy to use and has a ready made audience. But the lack of control and ability to monetize your content, normally leads to people leaving and starting their own self hosted blogs on WordPress.org or Weebly. Tumblr is an user-friendly, micro blogging platform that is mainly used by 16 to 25 year olds. It’s was bought by Yahoo for $1.1 billion in 2014, and remains a very popular platform with younger audiences. Tumblr has a great variety of sharing and reblogging options, which makes promoting your content so much easier than other blogging platforms. Users can share content with each other by simply pressing the reblog option, which then republishes the content on your blog feed. Tumblr is definitely a platform for visual bloggers that like publishing photos, art, illustrations, video and gifs. Probably not ideal for writers. The reblogging feature may not appeal to writers as it does take an element of control away from the creator of that content, particularly if you require your material to have 100% control over copyright and other such protections. Quick and easy to publish Gifs, Videos, Images, Photos and Illustrations. Reblogging makes promoting your content easier than other platforms. Excellent integration of social media sharing functions. Very easy to use and it's totally FREE. Difficult to export your content should you outgrow your Tumblr blog and wish to move elsewhere. Tumblr themes are available, but they lack any additional features or functionality. Tumblr is completely free to use. Tumblr also hosts your blog for free. User-friendly, drag and drop, online website builder and website hosting. Wix is a web based interface that allows users to easily build their own websites and blogs with the use of a drag and drop web building function. It’s very much in the same ilk as Squarespace and Weebly. Wix’s main foucs is on building fully responsive websites that can easily be displayed on mobile devices like a smartphone or tablet. The majority of users sign up to Wix.com to build websites for businesses, but it can be used for starting a blog. Adding a blog module to your site is very simple in Wix, but not as intuitive as platforms like WordPress or Ghost. Not as SEO friendly as other blogging platforms. 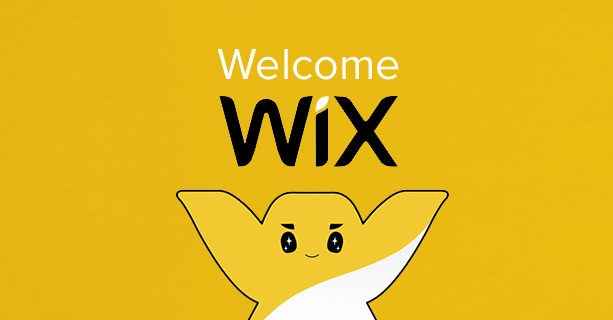 Limited features on the free version of Wix. Wix branding and lots of ads on the free version. Limited integration of third party apps. You can’t change your themes once you have selected it. You would have to rebuild the whole site again if you want to change look. Weebly has a free version of their web builder, which honestly isn’t great. It gives you a taster of what the platform is all about, but you really need a paid version to get a decent website. To use your own custom domain will cost a $4.50/month. Premium plans start from $8.50/month and go up to $24.50/month. 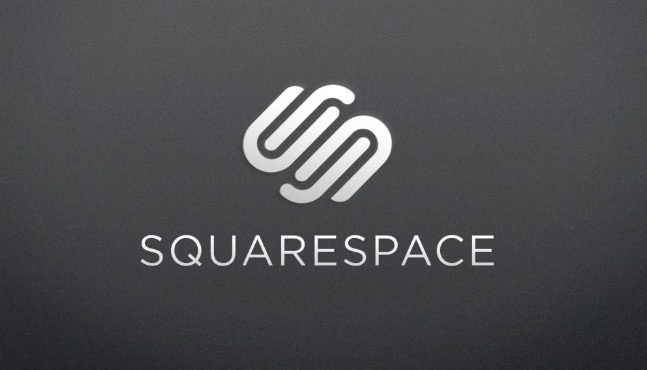 Like Weebly and Wix, Squarespace is a web based interface that allows you to create beautiful websites in minutes with a very easy to use interface and drag-and-drop functionality web builder. It offers the user a wide range of options to customize their blogs without having to know anything about coding or web development. The ability to upscale your site with additional functionality and features is very much a part of the overall offering from Squarespace. Although Squarespace would make a great blogging platform for most people, it’s prime focus is towards small businesses who want to create their own online presence without the need for expensive web developers and web designers. A simple to use drag and drop function makes it a very good platform for beginners and less tech-savvy bloggers. Stunning templates designed by professionals, with usability at the heart of all their creations. Theme and plugin support is not great. Some knowledge of coding will be required. All features are built into their own proprietary platform which makes customization very difficult. Limitations to the number of pages you can publish on certain plans. Can be a little expensive when you start adding features. Pricing is a little more expensive than the rest of the web builders featured on this post. Personal plans start at $16 per month, or get it $4 cheaper if you pay up for the entire 12 months. For business plans, you’ll be paying from $26 per month or $18 per month if you pay for the 12 months up front. Weebly is a web based interface that provides the user with a very easy-to-use drag and drop option for building websites. Ideal for people who do not want the hassle of having to learn HTML / CSS and who just want to get on with building their blog and publishing their content. It comes with loads of features, ready to use themes and additional functionality that will add another dimension to your blog. Drag and drop functionality which enables anyone to be able to build a website. No technical skills required to build a great looking website. Very simple and quick set up as the hosting is provided by Weebly. Try before you buy. Sign up to a the free version and test it out before you buy the premium package. The Built-in features that Weebly provide you with are some what limited, but as time goes on, more and more will be developed.